Li Zhu is a member of the firm's Intellectual Property Practice Group, specialized in developing strategies for registration, enforcement, and litigation of trademarks and copyrights, with a focus in China. 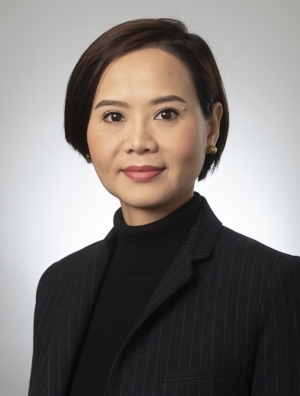 She started practicing intellectual property law in China in 2005 and her practice has been focused on anti-counterfeiting, brand protection, and IP portfolio management. Li was an in-house counsel for a multinational company and later joined the Beijing office of a large international law firm representing interests of a wide range of industries and clients. Some of Li's recent work includes: provided strategies related to a series of complex trademark squatting, infringement and unfair competition matters involving a U.S. company manufacturing and doing business in China, which allowed the company to secure a rare re-trial opportunity before China's Supreme Court; advised on registration and enforcement of color combination marks for a heavy machinery equipment company in various jurisdictions, including China, Europe, Argentina and Columbia; and conducted audits of trademark portfolio for a number of OEM companies and developed defensive strategies against harassment by bad faith trademark squatters in China.